Check out our list of 5 best vitural reality headsets to be used with an iPhone. Everyone is talking about virtual reality and VR headsets. 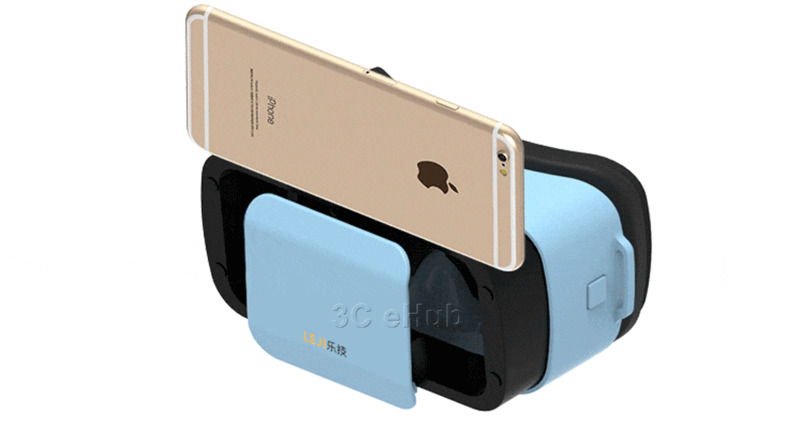 GearBrain has come up with a short list of the VR headsets we recommend for use with an iPhone. Below is a slide show with details on the best options for an Apple smartphone. For more information, you can check out our full review on each of these VR headsets by going to our article, Best Virtual Reality Headsets for iPhones. This is a great, fun headset that your kids can play with, too. The headset won't fit over your glasses, lacks adjustable lenses or built-in headphones, nor does the View-Master VR have straps to hold the device to your head. But it is very cute and easy to use. The touch button is nice and big, so you'll have no problems finding it, and the headset's design makes the device a pleasure to hold. 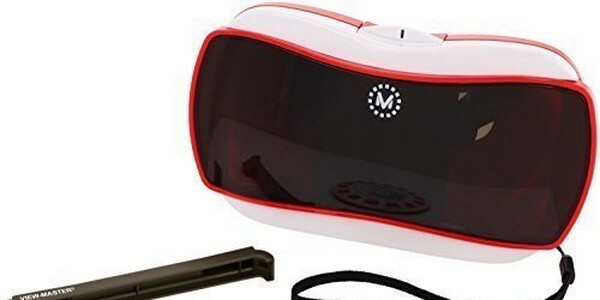 For more information on View-Master VR and other great VR headsets for iPhones, check out our Best VR Headsets for iPhones article. Where to Buy the headset: $17 on Amazon, or pick one up at your neighborhood Target orWalmart. The Goggle Tech C-1 Glass folds up flat, weighs just one ounce, and comes with a nice little carrying case. It's also available in a couple of different colors, if you don't like standard black.This one not appealing? There are plenty of other folding, open-sided headsets to choose from, some of them starting at under $10. To learn more about Google Tech C-1 Glass and other VR headsets for iPhones, check out the full review of GearBrain's Best VR Headsets for iPhones article. Get Goggle Tech C-1 Glass for $25 on Amazon. 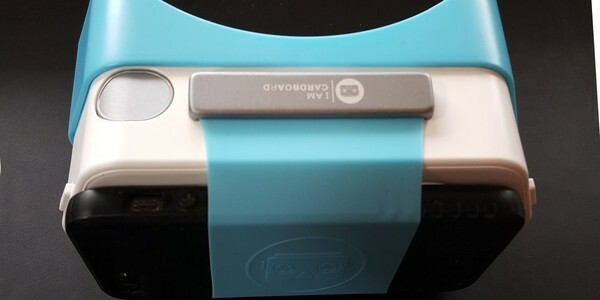 The Google Cardboard QR Code is conveniently printed on the left side of the device. The one big exception to the "no head strap" rule for open-side headsets is the AntVR, which is bigger than all the other headsets on the list above, weighing in at 5.6 ounces, compared to just 1 ounce for the C1-Glass. And while the headset does fold up, the device is larger than others, and probably won't fit easily into your pockets. To learn more about AntVR headset and other great VR headsets for iPhones, check out the full review of GearBrain's Best VR Headsets for iPhones article. Where to Buy AntVR: $16 on AliExpress, $25 on GearBest, or under the Pakway brand on Amazon for $30. The BoboVR Z4 is the best mobile headset that's not a Gear VR. The device has built-in headphones and a control button, and is very easy to use. The field of view is a very impressive 120 degrees—that's more than the Oculus Rift, HTC Vive, or the Gear VR. This means that you get the widest view possible on your smartphone—and for the best experience you want a phone with the largest, highest-resolution screen that you can afford. To learn more about BoboVR Z4 check out the full review of GearBrain's Best VR Headsets for iPhones article. Where to Buy: $39 on Amazon. or $29 from GearBest or $28 from AliExpress. If you search the sites, you can also find versions sold without the headphones, and versions bundled with Bluetooth controllers in case you have some Android users in your house who will be playing with the headset as well. 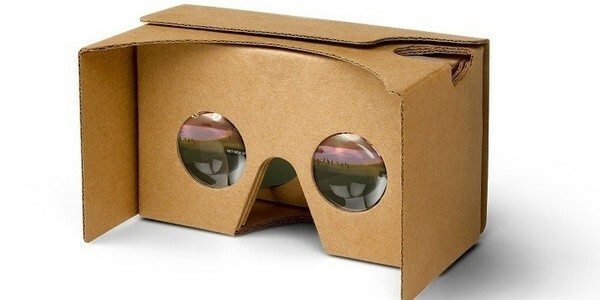 The Dscvr headset from I Am Cardboard is small, lightweight, sturdy, and comes in several colors. While the device does not have straps—and the lenses are not adjustable—the Dscvr does have a nice big button that works well. To learn more about Dscvr and other great vr headsets for iPhones, check out the full review of GearBrain's Best VR Headsets for iPhones article. Where to Buy: $30 from Amazon or from the company's own site. Unfortunately, the Leji VR Mini has neither a button nor easy access to the smartphone screen. So why did we put the headset on this list? Because it's inexpensive, cute, small, light, has adjustable lenses and a head strap, comes in five different colors and is super easy to use. If you're going to get a headset while you wait for Apple to get in gear, this is the headset to get. Plus, most of the apps you'll use don't need a button anyway. YouTube, for example, works without one. To learn more about Leji VR Mini and other VR headsets for iPhones, check out the full review of GearBrain's Best VR Headsets for iPhones article.Where to Buy: Amazon for $13.50. If you want to save a couple of dollars, it's available for $10 on GearBest or $10 on AliExpress. 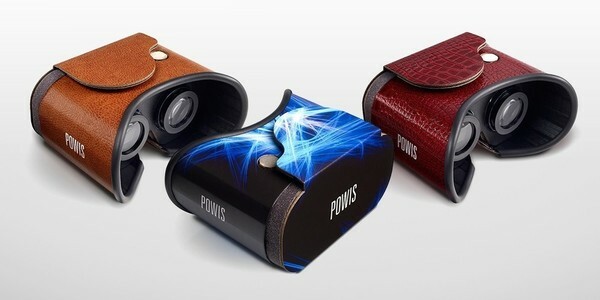 The Powis ViewR is one of the pricier headsets on this list, even though it's still made of cardboard. But this is sturdy cardboard—and the design makes it very easy to use. To learn more about Powis ViewR and other good VR headsets for iPhones, check out the full review of GearBrain's Best VR Headsets for iPhones article. Where to Buy: $30 on Amazon, or buy it directly from the company for $35 with straps, or $40 for the Red Alligator or Tan Pebble versions. 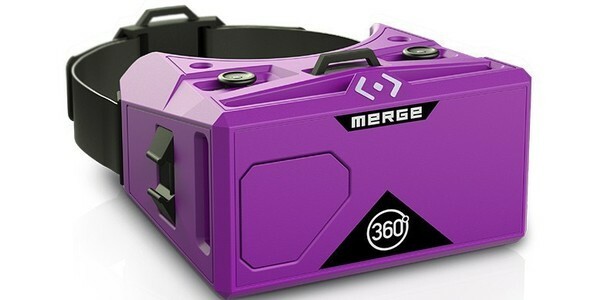 The Merge VR is a popular headset, has a head strap and not just one button, but two. 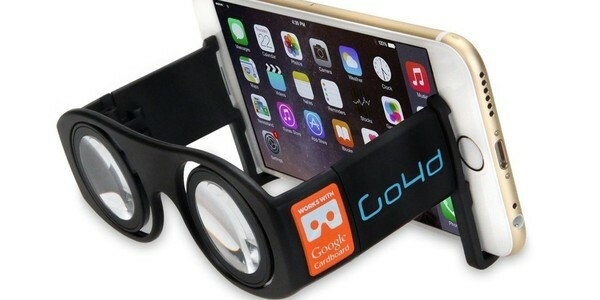 The device fits over glasses, has adjustable lenses, and is comfortable to wear. The field of view is also a not-too-bad 90 degrees. The company also has a very nice Merge Start app that simplifies finding fun games and applications. 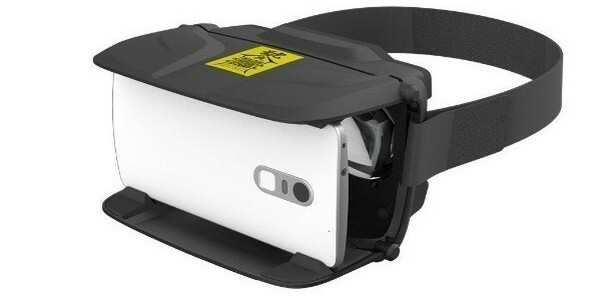 To learn more about Merge VR or other great VR headsets for iPhones, check out the full review of GearBrain's Best VR Headsets for iPhones article. Where to Buy: $79 from Amazon or directly from the company. This is the only headset on this list that I haven't tried personally. But it's one of the few Chinese-made headsets that comes with a button, and has received some positive reviews. 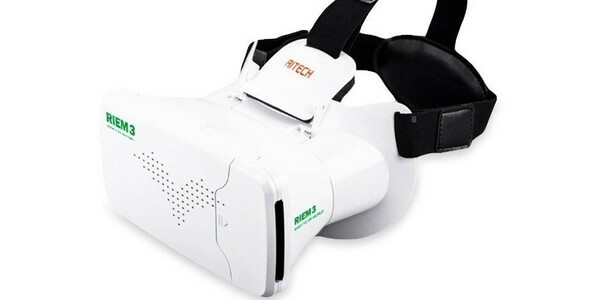 To learn more about Ritech Riem 3 and other great vr headsets for iPhones, check out the full review of GearBrain's Best VR Headsets for iPhones article. Where to Buy: $16 on Amazon. I hate adding a headset made of actual cardboard to this list, since... well, since it's made of cardboard. If you sit on it, the device will squish. if you sweat on it, the headset gets stained. If Google Cardboard gets wet, it melts. Plus the lenses are not adjustable. Finally, if you're not careful, when you tip your head, your phone will slide out and fall on the floor. To learn more about Google Cardboard V2 and other great VR headsets for iPhones, check out the full review of GearBrain's Best VR Headsets for iPhones article. 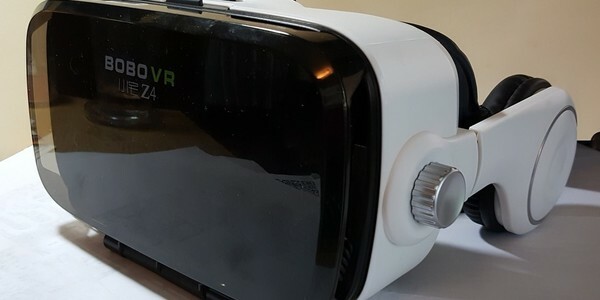 If you don't own an iPhone but still want a virtual reality headset, checkout our Best VR Headsets for Under $100 or 9 Best Open-Sided VR Headsets depending on your budget.